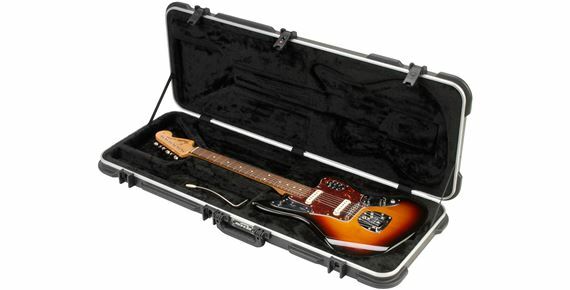 Shop SKB 62 Jaguar Jazzmaster Style Electric Guitar Case from AMS with 0% Interest Payment Plans and Free Shipping. Designed to accommodate the new fiberglass reinforced nylon trigger release latches with a TSA recognized and accepted locking latch. Fits Jaguar and Jazzmaster style guitars. Molded-in bumpers provide valance protection. Heavy duty Deluxe Plush interior. 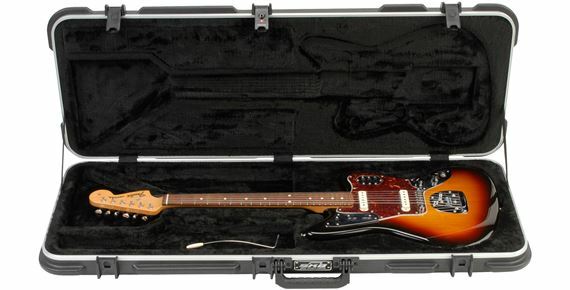 The case interior fits the jazzmaster like a glove. 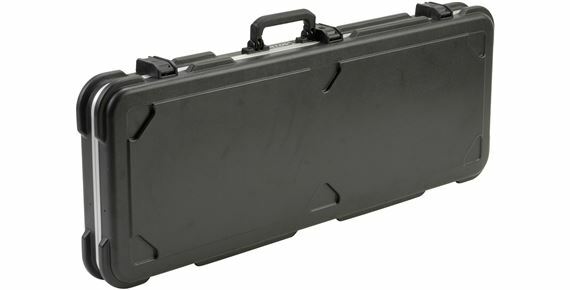 SKB has always built fantastic cases that are very rugged and well designed. You won't be disappointed with this case. 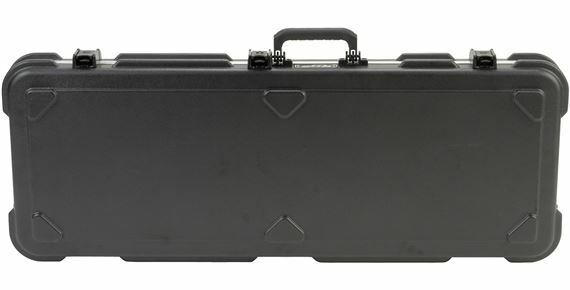 The SKB - 62 case (Jaguar / Jazzmaster) fits PERFECTLY. Looks OK if it must be checked on an airline, but who knows what the baggage handlers could conspire to do - it's not an anvil case, after all. 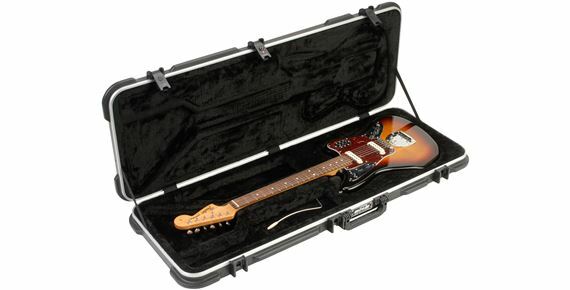 But the guitar is snug (doesn't move around), and the case is pretty light. It has TSA locks, and a better latch mechanism that Gator (which doesn't make a Jaguar/Jazz case as far as I can see from their website): the latch requires you to reach under and squeeze a tab, ,then pull up. Looks quite secure. 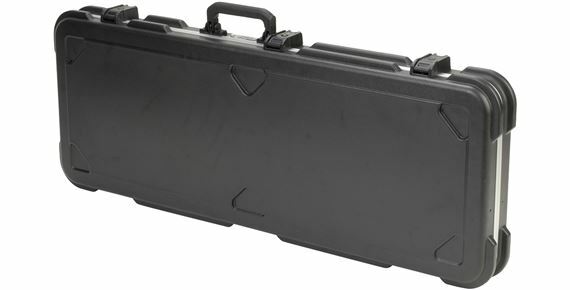 For the record, I got this case not for a Jag or Jazz, but a new brand R-800 from John Backlund Designs. It's an offset style guitar, and turns out this case works perfectly for it. Well made, durable material,but with plastic clasps.